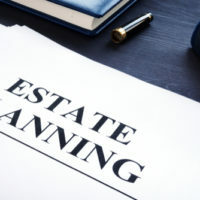 One concern many parents have when creating an estate plan is whether the assets they leave their children will be wasted. It is a sad reality that some children are not as responsible as we would like. They either get deep into debt, or they have civil judgments against them after being sued. Wouldn’t it be ideal if we could pass assets to our children and insulate them from civil lawsuit judgments? Fortunately, you can. If you create a trust and then add a spendthrift provision to it, you can keep most creditors from reaching in and seizing the assets you have left your child. A spendthrift provision won’t keep all creditors at bay, but it is an important tool for any estate plan. You leave $80,000 to your son in a trust. You include a spendthrift provision, so he cannot access all of the money at once. Instead, say, he gets $5,000 a year. If your son has a lawsuit judgment against him for $100,000, the spendthrift provision will prevent the creditor from cleaning out the trust to satisfy the judgment. However, the creditor can compel your beneficiary to turn over any assets that are distributed. Frequently, trusts with spendthrift provisions are set up as discretionary trusts. All this means is that the person who manages the trust assets, the trustee, has discretion about when and how to make a distribution to the beneficiary. A creditor cannot force the trustee to release assets, so they are limited in their ability to satisfy a court judgment. A gray area is whether a spendthrift provision will be effective against a claim for restitution arising out of a criminal matter. For example, your child might have robbed a business and been ordered to pay restitution to the victim as part of the criminal punishment. Can the victim reach the trust assets? Florida courts have not yet published an opinion on this matter, so we do not know how the courts will come out. In other states, courts have still enforced spendthrift provisions, even in the case of a crime victim seeking payment. Protecting assets is one of the many considerations you must analyze when creating an estate plan. At the Millhorn Elder Law Planning Group in Florida, our estate planning attorneys have helped countless clients develop estate plans that work for them. To start the process, please contact us for your free consultation by calling 800-743-9732.